If you are in need of a bankruptcy attorney, contact The Rodriguez-Nanney Law Firm in Annapolis today. Filing bankruptcy is a very difficult decision to make. The Annapolis, MD bankruptcy attorneys at the Rodriquez-Nanney Law Firm, in Annapolis, can help individuals, married couples, corporations and partnerships facing financial difficulties to navigate through this process. During our initial consultation be prepared to bring all your financial documents, including pay stubs, mortgage documents, and any mail you have received from creditors or banks. We will review all the possible options with you in detail. We will focus on your goals and the possibilities available to your family. Time is of the essence in situations such as foreclosure. Do not wait until the situation escalates; contact us once you realize that you can no longer make your mortgage payments. After analyzing your options, our attorneys will thoroughly discuss all of possibilities in your case. We will focus on maintaining your home, and with our experience we will help you stop the foreclosure and the sale of the home. Chapter 7 bankruptcy sometimes called “straight” or “liquidation” bankruptcy is available to individuals, married couples, corporations and partnerships. Chapter 7 bankruptcy discharges (cancels) most of your debts, but the bankruptcy court may liquidate (sell) some of your property (non-exempt) for the benefit of your creditors. The whole Chapter 7 bankruptcy process takes about four to six months and commonly requires only one trip to the courthouse. You must also complete credit counseling with an agency approved by the United States Trustee. Filing Chapter 7 bankruptcy puts into effect an “Order for Relief” known informally as the “automatic stay.” The automatic stay immediately stops most creditors from trying to collect what you owe them. Temporarily, creditors cannot legally garnish your wages, empty your bank account, go after your case, house or other property, or cut off your utility service or welfare benefits. Our Maryland bankruptcy attorneys can give you the immediate debt protection you need at this time and assist you in finding the best path to a financially stable future. Contact the Law Firm of Annapolis immediately so we may begin working on your case. Let our Maryland bankruptcy attorneys help you if have fallen behind on your mortgage or have received notice that your home may be foreclosed. We will be able to discuss possible options with you regarding your situation. We may be able to find a viable option for you to maintain your home. We will discuss all possible options and resort to bankruptcy, only if necessary. During our initial consultation be prepared to bring all your financial documents, including pay stubs, mortgage documents, and any mail you have received from the bank. We will review all the possible options with you in detail. We will focus on your goals and the possibilities available to your family. After analyzing your options, our Maryland bankruptcy attorneys will thoroughly discuss all possibilities in your case including Chapter 13 bankruptcy. We will focus on maintaining your home, and with our experience we will help you stop the foreclosure and the sale of the home. If you qualify for Chapter 13 bankruptcy, our attorneys can guide you through the process and help stop your home from being sold by the bank, and give you up to five years to repay your home mortgage. Taking steps to prevent foreclosure is often one of the primary motivators for those seeking the protection of US bankruptcy laws. For many homeowners, foreclosure has become a very real threat due to rising monthly payments, problems with employment, or any number of unexpected reasons. If this is the situation for you or your loved ones, it can be a challenging and even scary situation to face. However, with the help of an experienced Maryland foreclosure attorney, you can explore the options available to you and your family to avoid or manage a foreclosure. When you fall behind on mortgage payments or even receive notice that a foreclosure is pending on your home, it may seem like you have nowhere to turn. However, in many cases, our clients actually have more than one option. Only when we review your specific case will we be able to tell you exactly which choices are available in your situation. If you are facing mortgage difficulties and are considering seeking the help of an Annapolis, MD based foreclosure attorney, we can help. Contact us today to find out how we can help stop the harassing letters and phone calls while re-organizing your debts into a payment you can afford using the bankruptcy system. The area of foreclosure law is a complicated and intricate, making it extremely important to hire local, Maryland based legal representation who are knowledgeable and experienced in this area of law. As the foreclosure procedures and timeframes vary from one state to another, your lawyer should also understand the specific nuances for your state. At the Rodriguez-Nanney Law Firm, in Annapolis, our staff of lawyers has handled many foreclosure cases in Maryland over more than ten years of providing high quality and aggressive representation for our clients. We have lawyers who speak English and Spanish allowing us to help each client work through the difficult legal language of the many documents and contracts from your case so that you can understand what each means for you. A foreclosure may seem like it can be an insurmountable challenge, but with guidance and advice from the staff of lawyers at the Law Firm of Annapolis, we can take this challenge and turn it into an opportunity for you and your family. With help from our bilingual, experienced, and attentive staff, you will feel more confident that you understand your situation and the choices available to you as you face the future. We have attorneys who are fluent in Spanish and English. Often, clients who do not speak English as their first language may feel overwhelmed or confused by the legal system. Our attorneys will make sure that you understand the law in your own language, ensuring that you are aware of your rights and options as you make these important decisions during your most trying of times. Don’t Wait – Get Help Today! 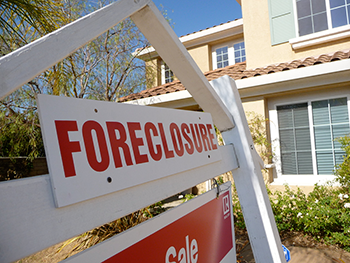 If you are facing foreclosure proceedings or debt collection, don’t wait until it’s too late. Contact the qualified attorneys at the Law Firm of Annapolis today! Our Annapolis, Maryland based bankruptcy attorneys may be able to help you if have fallen behind on your debts or mortgage or have received notice that your home may be foreclosed. We will be able to discuss possible options with you regarding your situation. We may be able to find a viable option for you to maintain your home. We will discuss all possible options and resort to bankruptcy, only if necessary. This statement is required by 11 U.S.C. Section 528(a)(4) without substantive modification by any firm that assists in filing bankruptcies under the federal Bankruptcy Code, however, it does not state the full range of services available from this firm.